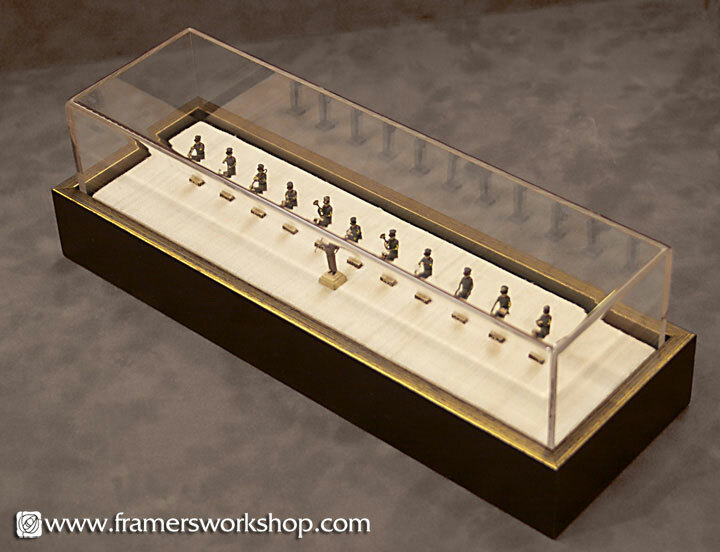 This antique mineature brass marching band stands on a silk covered platform encased in a protective acrylic box. The base is surrounded by a Nurre Caxton floater frame. 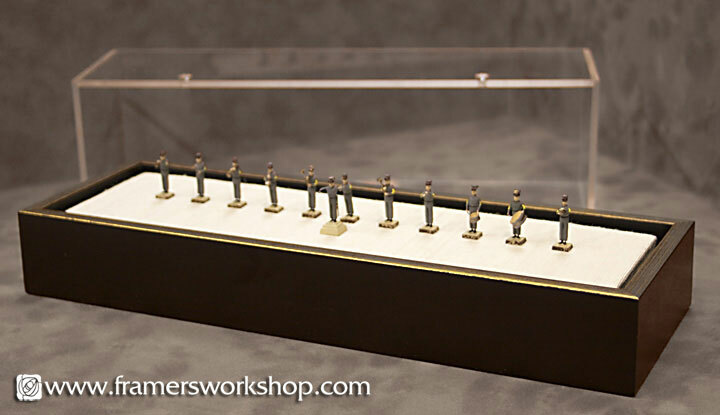 Each of the elements is attached in such a way that they can be removed.